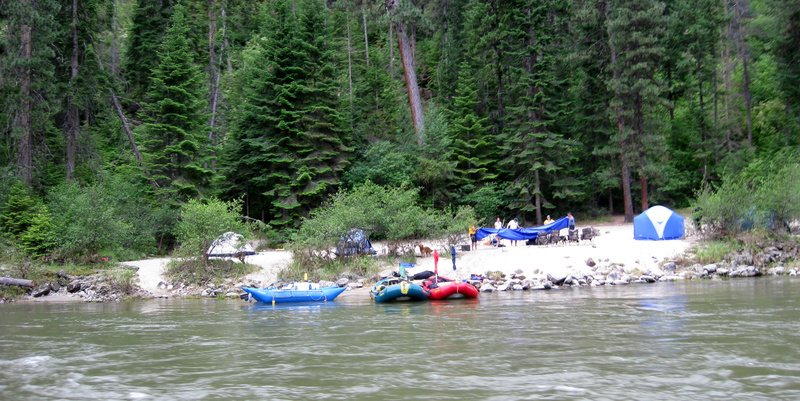 Rafters camping on the Salmon River were upstream from where a fast-growing wildfire forced the closure of a 17.78-mile stretch of the river on Thursday. • English Point Recreation Area near Hayden Lake, and Mokins Bay Campground. • The North Fork Coeur d’Alene River Road from Kingston to Shoshone Base Camp. • Wallace Forest Conservation Area at Blue Creek Bay. • State Highway 9 from Prichard to Thompson Pass. • Forest Road 332 between Bunco Road and Forest Road 278. • Beaver Creek Road (FR 456), Dobson Pass Road, and 9 Mile Creek Road, between Babins Junction and Wallace. A large swath of public land in the Idaho Panhandle will be closed starting Sunday because of extreme wildfire danger. Public lands north of Interstate 90, south of Bunco Road (also known as Forest Service Road 332), east of U.S. Highway 95 and west of the Idaho/Montana border will be under a temporary emergency closure due to wildfires. The Thursday evening decision by government agencies is the latest move to restrict recreational and industrial use of federal and state lands due to wildfire danger. Earlier in the day rafters were being pulled off the famous Salmon River as a fast-growing wildfire made a run toward the town of Riggins, Idaho. The fast-growing Tepee Springs fire forced an unprecedented closure of nearly 18 miles of the river, affecting all recreation there and all uses. Private property within the closure area is not being evacuated, agency officials said Thursday evening. However, people who want to access their homes or properties within the closure area must have credentials for getting through fire barricades. The emergency closure will start at 12:01 a.m. Sunday in order to allow time for members of the public to remove any trailers, hunting equipment or other property currently left on federal lands within the new closure area. Areas already under emergency closures will not be reopened for property retrieval. Once the new closure is implemented on Sunday morning, only private land owners and residents will be allowed past barricades to access their property. “The decision to implement this emergency closure was not easy to make, but it is absolutely necessary to protect the public as a large number of fires are burning in the area, and more fires are being detected almost every day,” said Mary Farnsworth, Idaho Panhandle National Forests supervisor. “Our concern is folks getting trapped behind fires,” said Shoshana Cooper, acting public affairs director for the Idaho Panhandle National Forests. At least 30 fires are burning in the area, and there may be more. The recent cloud cover has prevented the agencies from flying over the forest to count new starts. With firefighters and resources in demand across the West, not all of the fires burning in North Idaho are staffed, Cooper said. Weekend weather forecasts call for conditions that could cause fires to spread quickly, including lightning and gusty winds. The cloud inversion, which has been acting as a cap on the fires, is expected to lift, she said. About a week ago, public land agencies in North Idaho issued voluntary restrictions asking members of the public to stay out of the woods. The rafters pulled off the Salmon River were loaded into hastily arranged shuttles and buses for a two-hour ride down a bumpy dirt road to McCall, Idaho. “According to the U.S. Forest Service, 275 people had rafting permits with scheduled take-outs in the affected stretch Thursday, today or Saturday. 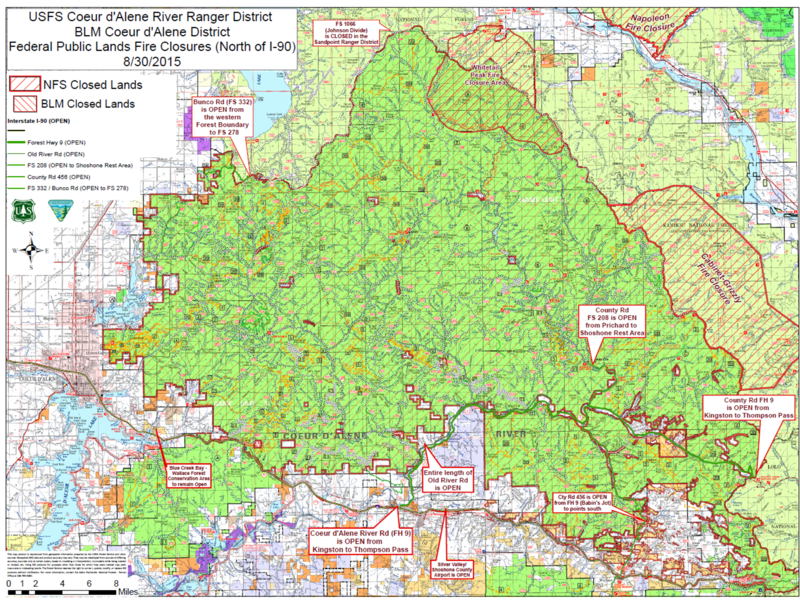 The closed area is about 4 miles downstream of the Frank Church-River of No Return Wilderness Area. The Salmon is the longest undammed river in the lower 48 states. Its whitewater thunders through narrow canyons and towering stone cliffs, and meanders through pine forests with white, sandy beaches and abundant wildlife; people come from all over the world to raft it. Staff writers Betsy Z. Russell, Becky Kramer and Rich Landers contributed to this story.